Regardless of whether you enjoy sports betting as part of your online games or you're simply a dedicated sports enthusiast you're probably watching the summer transfer rosters carefully to see which teams have the best chances in the coming season. The summer 2018 transfer window is fast approaching and there are already plenty of rumors about which players will be switching teams. During the transfer window, football clubs can transfer players from other countries into their own teams. The club registers the new player through FIFA during the official winter or summer "registration periods." FIFA Regulations state that each national football association can decide on its own transfer windows – one transfer window can include up to 12 weeks while the second can include up to 4 weeks. 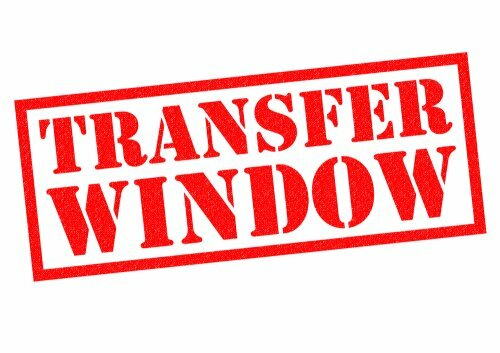 Only the transfer window of the association that the player entering needs to be open – the window of the club that he is leaving does not need to be open. Jose Mourinho does not believe that Christiano Ronaldo, the legendary Portuguese forward, will be able to return to Manchester United. Mourinho says that he thinks Real Madrid will be prohibited from selling him, leaving him to play with the Los Blancos as he winds up his career. Mourinho predicts that Ronaldo will move to a smaller league towards the end of his career, leaving no room for a return to Old Trafford. Mourinho was quoted by the Portuguese newspaper Record as saying, "I believe that Real Madrid cannot sell him. It is prohibited. He has to stay until the moment they authorise him to go and play one year in America or anywhere else that he wants to enjoy. It is a closed door." Mourinho explained that he doubted whether United could make a move for Ronaldo. "All the people know his history in Manchester, the passion they have for him and that there are players in the world who, if the clubs have the possibility of signing, will not say no." Manchester City is waiting to hear whether Eden Hazard is prepared to leave Belgium International. Belgium International failed to qualify for the 2017-2018 Champions League and they'll need to invest in the squad in order entice Hazard to stay. Pep Guardiola knows that Hazard is tempted to join the Premier League champions and he's doing everything that he can to entice Hazard into throwing in his lot with the Man City Club. Guardiola would like to strengthen Man City's grip on the trophy. Observers say that he wouldn't hesitate to bid over £100 million ($135m) for Hazard if it seems that he would be amenable to the move. Guardiola would also be willing to match his demands for £300,000 weekly salary. A deal that will bring right-back Ricardo Pereria to Leicester seems to be close. They are reportedly prepared to pay about £25 million for the Portuguese defender which is significantly less than the buy-out clause of £33 million. The 24-year-old Portugal international, who interested other Premier League clubs, will also likely be part of the UK World Cup team. Pereira was offered a new contract by Porto but is open to the Leicester move. He played for Leicester manager Claude Puel in the past when on loan at French club Nice. If Gigio Donnarumma leaves AC Milan, it's likely that he'll end up in Liverpool. Donnarumma, the goalkeeper wonderkid, has been starting for Milan since he was 16 years old but now it seems that he's ready to head to Anfield and play for the Reds. Many observers believe that the 19-year old is the greatest goalkeeping talent to appear for many years and acquiring him would be a massive coup for the Reds. Merseyside moneymen seem prepared to pay the £54m price tag. Dunnarumma seems open to the idea, creating a great deal of excitement for Jürgen Klopp's team and fans. Liverpool will be in competition with PSG for Dunnarumma but Milan is hoping that Dunarumma will stay put. Milan sporting director Massimiliano Mirabelli, commented that "The clubs, if there are any, will make their offers and we’ll see if they satisfy us. Donnarumma is part of the future of Italian football, he’s worth a lot. We know the market, and we really think he’s worth a lot. We haven’t budgeted for selling him." Mirabelli went on, saying "We’ll wait and then do what we have to do. That applies to everyone, we want players who want to participate in our project. We want people who are convinced. "If a player is to leave it takes two things: they have to tell us that, and there has to be a satisfactory offer. We hope he stays with us and it’s the same for other players. If a player comes to us and says he wants to leave, the club he wants will have to satisfy Milan. "Donnarumma hasn’t come to us to tell us that he wants to leave. We are working to strengthen the team, not to dismantle it."